Quick, Joan! Finish your egg white frittata! St. John and Lilly Pulitzer are waging a price war at Sak’s! Hail a cab! I love the moment when you think she is basically Colbert-ing you, and Schiumo chuckles softly, thinking it’s so overt, she must be putting us on. Not so much the haughty tone, the at-arms length way she wants to live, yet still “stand” for something. She is lucky (and we are the opposite) that this wasn’t an on-the-street interview where we could see her face. This way, she can ensconce her unconscious racism and whisk past her Latino doorman into her Classic Six on 74th and Amsterdam without facing the disingenuous smile that masks a scowl. Maybe Joan from the Upper West Side is an aging Joan from Mad Men, but the latter shows much more compassion and intelligence than this woman. I started digging deeper into her comments to unearth some further insights, not about her but about New York and the land mine-laden area of race, which I hope I don’t maim myself upon. Do I understand how she gets to her conclusions? I think so, but that doesn’t mean I agree with them. Joan essentially lays bear the fear of every professed tolerant liberal. I’d wager she is saying what a not inconsequential tranche of people are probably thinking. I’m not sure if I should give her credit for having the bravery to share her politically incorrect opinions or be offended for her having no shame in doing so and tarnishing “the rest of us” by demographic association in the process. The Times’ poll this weekend says approval for stop-and-frisk is split right down the middle. Awkwardly, more than twice as many Jews (68%) than blacks (32%) approve of it. Unexpectedly, the people who approve of it most are by far Queens residents (at 65%, in the most ethnically diverse borough), and not Manhattan residents (coming in lowest at 41%) as you might surmise. For one, as a purely practical amoral matter, wouldn’t the efficacy of stop-and-frisk be eroded if it were only used in one borough anyway? The population of Manhattan basically doubles during a work day with all the surrounding commutes. People in our city tend to traverse boroughs with frequency, so the lack of a stop of a supposed miscreant in the Bronx could hypothetically effect you when he gets to his destination for the day in Columbus Circle. Also, has Joan ever been to Park Slope? It’s organic, free-range cash-moneyed white-itude sometimes makes vanilla faces on West End Avenue look like also-rans. That debate is in the zeitgeist, of course. Let me settle it: Brooklyn is cool and so is Manhattan. Some people in both places are also drenched in generically labeled suckiness and lame-nosity. A friend of mine from here went to grad school in Philadelphia. She once described Philly as “Brooklyn without Manhattan,” not flatteringly. Would Brooklyn et al. be nothing without Manhattan? (Would Pippen have been nothing without Jordan?) Sure, it would probably be less remarked upon, but that’s not the point; they exist and have for quite some time. The outer boroughs have a symbiotic relationship to Manhattan, but that’s also the case with Westchester, Northern New Jersey, Long Island, and Connecticut. Basically everyone within a two-hour radius of Manhattan. It’s an island. “You’re either in or you’re out, right now.” Okay, not quite; most subways and trains are really good and aside from overly hair gelled bridge-and-tunnel riff raff, that’s cool with me. I will confess a slight ambivalence about stop-and-frisk policy because it appears to have achieved its goal. Figures show crime is down and there is a correlation between stop-and-frisk and that fact. But in so doing, it sowed seeds of suspicion and division. It just doesn’t feel right. Should a subset of people who commit crime at a higher rate due to the very reason that history discounted them be publicly penalized and humiliated for that very reason? An hour after I saw Joan on The Call, a relevant movie was on TV. Its namesake, The Hurricane, was framed for a murder in 1966 because he was black, and it was easy. 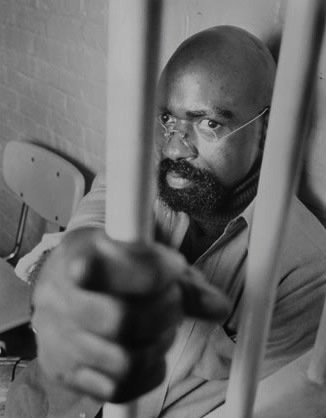 He was exonerated in 1985. You can get a flavor for the lopsided incarceration rates for African Americans and Hispanics as compared to whites here, here, and here. It’s not genetic. It’s an endemic societal problem based on problematic historical treatment trying to be fixed gradually. It’s sad that two weeks ago on The Daily Show, Samantha Bee and Jessica Williams’ focus groups with a handful of people from the opposite race showed such mixed progress on eliminating racism. The white cohort thought we were like 80% there, while the black one averaged something like 4%. I’d like to think we have come further than that, of course. Obviously, a tragedy like Trayvon Martin makes us feel like we haven’t, and stop-and-frisk isn’t super helpful on the “Hey, let’s all hang out” front, but there is plenty of that going on. And unfortunately, even people who truly eschew racism are guilty of it sometimes. 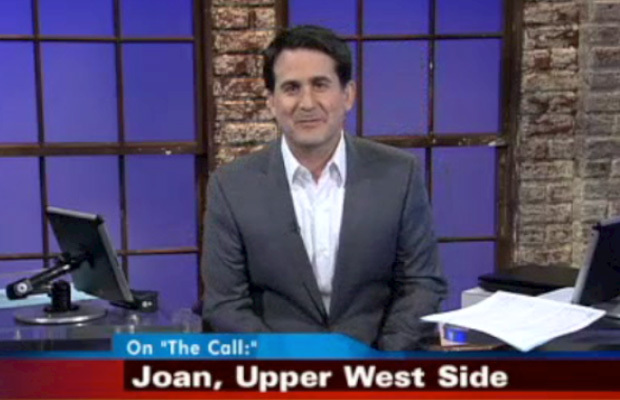 Part of me wants to take Joan on a tour of nice blocks in Astoria and Williamsburg and Harlem. The rest of me knows she would drive me insane in 5 minutes. Hey, I wonder if she has a daughter?